MARBLE FALLS — If you’re interested in enjoying the great outdoors while the Hill Country temperatures remain moderate, Candlelight Ranch is the place for you. Nestled among native trees, cactus, and wildflowers, the ranch serves children with special needs, at-risk youth, and military families. “The power of Mother Nature is something you can’t explain,” Development Director Tara Gray said. The land is the backdrop for the ranch’s therapeutic and educational nature-based experiences. 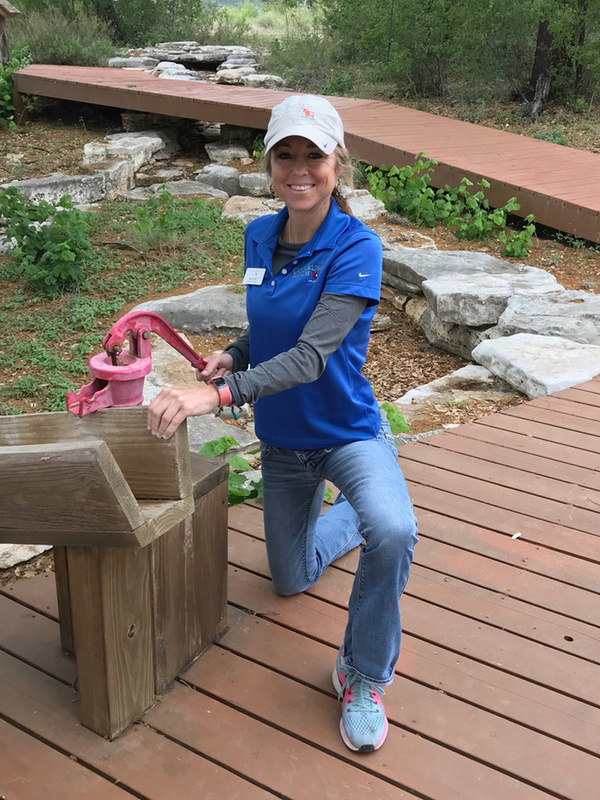 The nonprofit is participating in the third Highland Lakes Volunteer Meetup on Saturday, May 26, and needs volunteers to get the ranch ready for summer activities. Cedar and mesquite trees must be removed, dirt will have to be shoveled around a boat dock, a trail needs limbs and brush cut back, and a manmade water feature requires cleaning. Volunteers help Candlelight Ranch offer unique, hands-on activities to children and families throughout the year. The Children in Nature Program provides outdoor experiences tailored for the specific needs of each group of children. The ranch garden shows kids the connection between food and cooking, while ziplines offer opportunities to work on personal fears and life’s road bumps. A wheelchair-accessible treehouse is a child’s dream come true and used for overnight camping. Children also have time to fish, kayak, and create art. A child who recently attended Candlelight Ranch can attest to its magic. “I know now I can do anything. Today is life-changing for me. I wish my parents could be here and see what I am capable of,” a statement from the youth read. To volunteer at Candlelight Ranch as part of the third Highland Lakes Volunteer Meetup on May 26, sign up in advance at 101HighlandLakes.com/MEETUP. The ranch is one of three nonprofit organizations participating this month. Another is the Phoenix Center of Marble Falls. A third is still to be determined. All volunteers will first gather at 9 a. m. at Numinous Coffee Roasters, 715 RR 1431 in Marble Falls. You’ll have a chance to talk with other volunteers over a light breakfast. Volunteers who select Candlelight Ranch will meet there at 2 p.m. for a few hours of work. The ranch is located off RR 1431 at 6408 Muleshoe Bend Trail, just outside of Marble Falls. Wear work clothes, long pants, and closed-toed shoes and bring gloves and sunscreen. The ranch will provide tools and have plenty of water on hand. Candlelight Ranch was founded in 1999 by the Barr family, who wanted to share their love for nature and instill respect for the land with at-risk and special-needs youths. The ranch served 2,300 children and families in 2017. Enriching the lives of children is carried out daily by the ranch’s staff. Pam Rodgers is a contributing writer.